The Human Settlements: Will they really be smart or it’s just following the trend? The Human Beings have inhabited nearly all habitable parts of the planet now. The disciplines of Geography, History, Sociology, Economics & Planning has produced tremendous stories of his imagination & creative potential. There are stories of individuals on one hand & there are collective stories of Human Settlements on the other which are not an outcome of instant development rather a testament of Human Skills of settling his settlement brick by brick over multiple generations. Will they really be smart or it’s just following the trend? 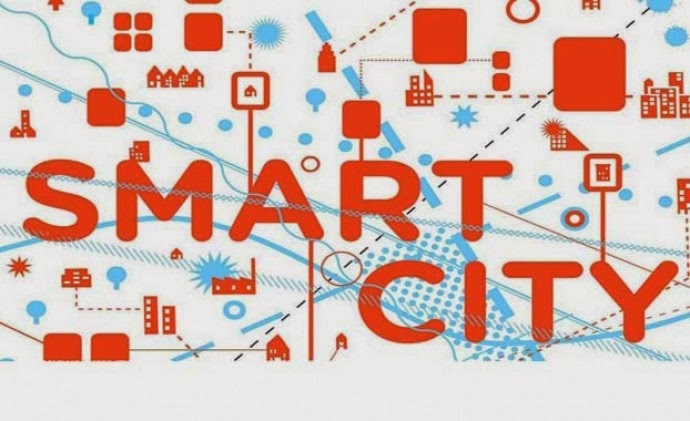 Smart cities has almost succeeded last decade’s most trending topic of achieving sustainable development in India (for words used while discussing urban or human development) and concepts have also just become like the new sale in the market which comes up every other year. Major community seem to be getting excited already about their new settlements which are still in the conceptual stage but a question is still rolling in the brains of some people – will they be really smart? Both the planning persons and the government officials ministers involved have emphasized the importance and significance of making smart cities. But are they themselves clear with what a smart development really is? While going through various interviews and videos on YouTube I have find a state of confusion and ambiguity among the fraternity and many of them weren’t able to define it properly in their own terms. For instance – once I asked a senior planning person involved in conceptualizing smart cities – I asked, what would be our approach for achieving smart development? And I was left quite disappointed by his perspective which went like this – we’ll make the cities automatic. And that’s it, although he continued with his influential answer but there was no proper vision and understanding about how cities actually function. I’m afraid where this mode of development guided by a state of confusion will take the urban development of India. In this age of ever-increasing human interference where sustainability (though itself is now one of the most polluted words of 21st century) could have held the human population of India focused towards their own natural system of living but with the introduction of a new term on the lines of a smart-phone & so many other smart’s – the urbanization seem to have focused on the introduction of IT sector into human living and which isn’t a bad move in any case but it also can’t be applied to every other city without analyzing the inter-disciplinary nature of the urban system and also its long term effects. A real smart city will be such where people enjoys their living in a happy, healthy and prosperous environment and not just by making it a digital city no matter the population is left with conditions of stress, depression and anxiety. A smart development is such where the whole settlement system is planned altogether in a state of harmony and unity. The things which are being tried to look after in the so-called smart cities are pretty sectoral and surely it doesn’t guarantee long-term efficiency. Histories are built and shaped as we are acting today and the government has to understand that India’s history is on a critical point as its population is increasingly getting urbanized and that it has a bigger role to play than to just focus on the physical infrastructural growth of the country. The concept of smart development is quite good but on a sad note it has been widely misunderstood by the concerned fraternity themselves and India should really look again for the path which it has yet to begin. Cities should be made IT-friendly but keeping in mind the inter-dependent nature of the system in which we are living in. Cities should be made smart but a proper vision is also needed to make them likewise after understanding the progression which our settlements are experiencing at a rate never experienced before. Nothing is Permanent yet The Universal Wisdom is Perennial & Stagnant. The Human Settlements by Jepranshu Aganivanshi is licensed under Creative Commons Attribution-NonCommercial-NoDerivatives 4.0 International License. I'm a keen observer of natural processes and man-made systems with good grasping ability and analysing skills. I love reading and learning about different disciplines which has showered my being with an inter-disciplinary perspective. I'm an Architect and a Human Development Planner by education and a knowledge enthusiast by nature. One thought poster of my room says, 'Explore your ideas and be Creative, Little things make the real Change'. Rights Reserved. Awesome Inc. theme. Powered by Blogger.